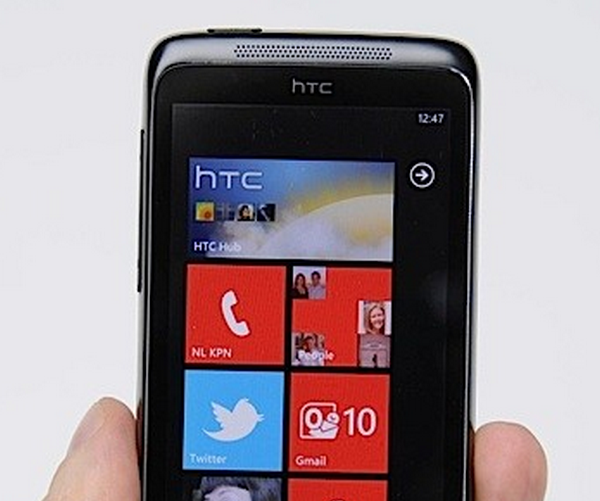 Are the HTC 7 Trophy Windows Phones about to be recalled? Several owners of the brand new HTC 7 Trophy, a Windows Phone 7 handset, are reporting screen problems that are rendering their devices frustrating to use. The defect is made up of streaks that discolor the screen when powered off that appear to to be under the glass itself. 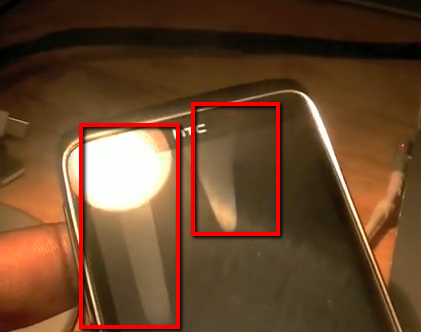 Some users are claiming that humidity affects the defect’s appearance, while others are suggesting that it could be air trapped in the screen. It is not finger smudging as the picture may seem to suggest; no amount of rubbing can seemingly remove the marks, and users have employed various cleaning solutions to no avail. Perhaps the best guess as to what has happened is that the glass and what is behind it were not perfectly sealed, leaving the devices open to the problem. I’ve been back to the Vodafone store today as they had received new stock. Both handsets we looked at had the same issue. The manager at the store said that HTC were going to be issuing a recall and that they were aware of the problem. Mobile blog PocketNow points out what is perhaps most interesting in this whole scenario, and it is not that a new phone may have a problem, that is simple enough. No, as they note, “this supposed issue [does] not bode well for HTC if true, as the associated publicity would certainly be a hit the general reputation of quality that the manufacturer has developed over the years.” HTC is known for quality, let’s hope that these phones are isolated cases. Finally, if you want to see the problem demonstrated, we recommend that you watch this video of it. More as it comes.